Remember back a few years when some fans and even a few experts called Adrien Broner “The new Floyd Mayweather,” or a “Mayweather clone?” Well, a whole lot has happened since then. Broner is no longer an unbeaten fighter, he has ran afoul with the law and, more recently, “The Problem” has appeared to have had problems getting along with Mayweather. However, as he gets ready to fight Britain’s Ashley Theophane this coming Friday night (in a fight that looked to have been in jeopardy due to Broner’s recent troubles, a warrant issued for his arrest and all) Broner told Sky Sports he has “no beef” with Mayweather. 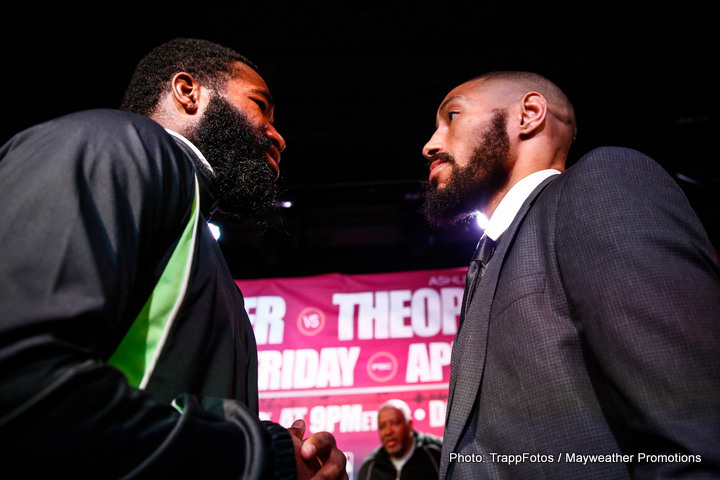 No disrespect to Theophane, but Friday’s fight has not excited fans and the side story on the Broner-Mayweather quarrel has proven far more interesting to a majority of fans than has the actual fight. Broner of course will be going up against a Mayweather fighter in Theophane, a fighter Floyd says he thinks can defeat the 26-year-old from Cincinnati. With all that’s gone on and with Broner very much being a love to hate figure, Theophane will likely enjoy the support of those fans in attendance tomorrow night. But beef with Floyd or not, and trouble with the law or not, Broner insists he will be fully focused come that first bell. Broner has repeatedly said he will KO Theophane and though his rival’s supporters might not like it, this prediction looks like one that will come to fruition. Look for Broner to stop a game Theophane in the late rounds.